Home » Uncategorized » How to Register Game Killer for FREE? How to Register Game Killer for FREE? 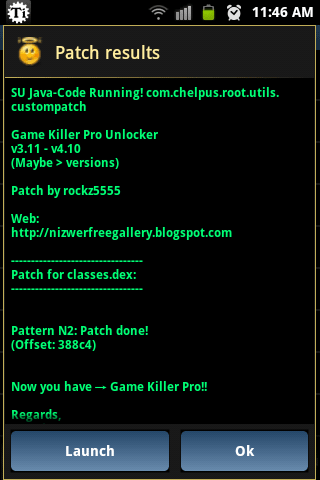 Game killer is an awesome tool to hack android games. Though you can hack game without registering too but for some feature you have to register Game killer. In this post, I am going to teach you How to register Game killer for FREE. This method is a tested method with 100% success rate. So, lets begin. First of all download Game killer from our site and install it. We need Lucky patcher for this. So download latest lucky patcher from here. Install Lucky patcher, open it and Grant root access. Search for Game killer and tap on it. 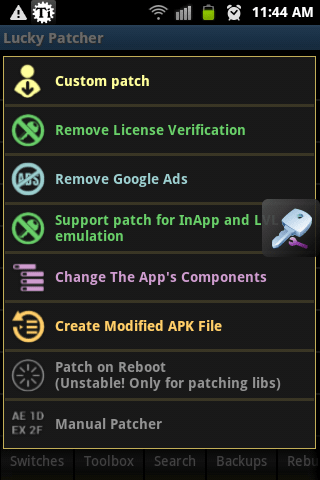 Now tap on “Open menu of patches” and then custom patch. Select the third option out of 3 (rockz5555_cn.mm.gk) and tap apply. Congrats. Now, Enjoy registered Game killer.